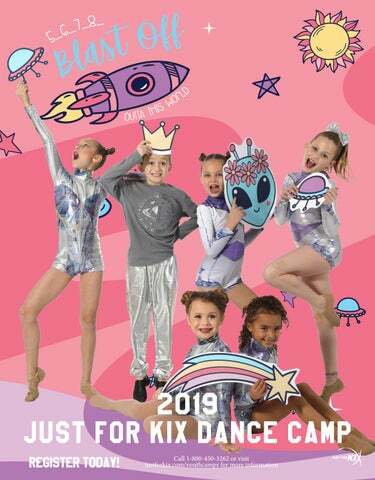 2019 JUST FOR KIX DANCE CAMP REGISTER TODAY! 4 REASONS TO COME TO CAMP These are the top 4 reasons you should come to Just For Kix Youth Dance Camp! Our dance camps include other activities team cheers, staff skits, fun games, etc. We learn routines and work on technique but also have lots of FUN! Outstanding Technique/Styles At our camps you have the opportunity to try styles that you have never tried before. Perfect your technique and become a more well-rounded dancer at our camps. We surround dancers with over 40 experienced and personable professionals. Our staff has the technical know how, the proven methods and inspiration needed to motivate and help dancers achieve their goals. Campers will get the chance to dance and perform with other dancers from other surrounding towns. Make new friends with other campers that you have never danced with before. You may learn new skills simply by dancing with new people! 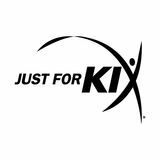 THE TRADITION CONTINUES Just For Kix has a long-lasting tradition of offering youth dance camps! With 33 years of experience, your child is guaranteed to have a great time while improving their technique. If your son or daughter has never danced before, this is a great opportunity to introduce them to the dance world! We break our classes into levels so that everyone can be challenged in their own way. Dancers will learn a variety of routines and get the opportunity to try styles they may have yet to be exposed to! The best part about dance camp is that dancers get the opportunity to learn from new teachers that can bring a different perspective to their learning process like never before. Camp is always more fun when you are with a BUDDY. As a fun summer tradition, many dancers invite cousins or friends to join them at camp. Have no fear, if you donâ&#x20AC;&#x2122;t come with a friend, we will make sure to find you a buddy when you arrive! ENJOY OUR CAMP THEME DAYS! Just a touch of FUN that Just For Kix Camp gives its dancers. Represent where you’re from by wearing a shirt from your hometown or dance studio! Be proud of where you come from and show off your community spirit! Grab your galaxy gear, we’re bringing outer space to dance camp. Dress up in your favorite space attire! You won’t want to miss it. Designed for K-3rd grades These campers will be thrilled to learn fun & age appropriate routines. We use great music and provide fun activities, cheers, crafts and more. Classes are shorter with a fast paced schedule to help younger dancers stay focused. Instructors include technique drills intermingled throughout the day. Designed for 6th-9th grades This camp curriculum is geared to dancers trying to take it to the next level. We include flexibility training to increase your range of motion. Dance Styles offered: Lyrical, kick, pom, hip hop, and jazz (can vary from camp to camp). We focus on jazz technique: hone in on turns and leaps. Ballet based warm up and exercises taught throughout the camp. We also cover kick technique: take your kicks to a whole new height. At camp, dancers are introduced to new innovative choreography. Classes offered vary at each location. Designed for 4th-5th grades We provide technique work to improve skills. Jazz, lyrical, pom, kick and hip hop styles may be offered. Styles vary from camp to camp. We introduce new skills, play games, do skits and offer breaks for the dancers! Activities vary by camp and may include: Improv, ballet, flexibility, and more. • If parents wish to watch the Camp Show they should report to the show location at 12:45 pm. • Parents must pick up dancers after the Camp Show. There is no busing. * Dekalb, IL, Spencer, IA, and Hastings, NE camps’ lunches are provided. They do not allow bag lunches. K-4th Grade Day 3 (AM) 7:30 - 8:00......... Warm Up/Stretch 8:00 - 8:30......... Class #1 8:30 - 9:00......... Class #2 9:00 - 9:15......... Break / Ribbons 9:15 - 9:45......... Class #3 9:45 - 10:15....... Class #4 10:15................. Stage for Show 10:30 - 12:00..... Camp Show! Go to www.justforkix.com/ youthcamps for Location Maps, and Driving Directions. DANCE YOUR BEST AND BE REWARDED! At all of our youth camps, you will have the opportunity to be rewarded with one of these exciting and fun ribbons! Dancing your best and working hard is definitely one way to earn yourself one of these ribbons, however; there are other ways you can get your hands on a ribbon as well. For instance, if you are demonstrating good sportsmanship or help a fellow dancer who is struggling with a move, or even for trying something new and pushing yourself to grow as a dancer are just some of the ways!